Publicity photos for Ashes to Ashes. The last two are scans from The Sun, which is why they're so grainy. Gene Hunt is back, bigger and brasher than ever before – but he's no longer the self-styled "Sheriff of Manchester". 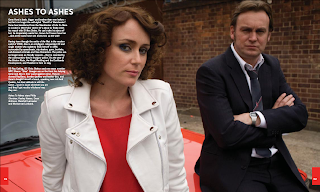 Gene has transferred from the Manchester of Life On Mars to London's Met Police where he's about to finally meet his match with DI Alex Drake. He can't take his eyes off her, he desperately wants her, knows he'll never have her – and at the same time she drives him up the wall! 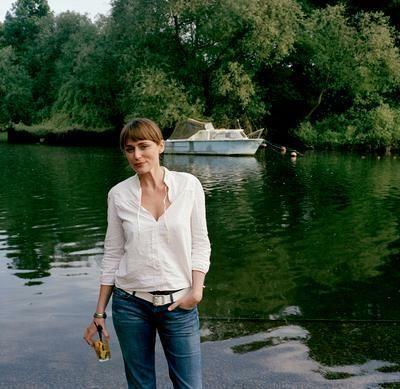 Having risen through the ranks of the Met in the modern world of 2008, Alex is an intelligent, independent DI and single mother who suddenly finds herself in 1981 surrounded by speedboats, city dealers, guns, brothels, well-dressed criminals and New Romantics. The police are no longer seen as friendly coppers – they're resented by the communities they're trying to police. It's the year of the Brixton Riots, the Royal Wedding and the Docklands Development, and Thatcher is here to stay.DS Ray Carling, DC Chris Skelton and new team member WPC Sharon "Shaz" Granger are on the front line helping Gene and Alex in their quest against crime. They've donned Ray-Bans, bomber jackets and leather ties, and Gene's bought himself a brand, spanking new red Audi Quattro, but their attitude is still the same – scum is scum wherever you are and they'll get results whichever way they can.Ashes To Ashes stars Philip Glenister, Keeley Hawes, Dean Andrews, Marshall Lancaster and Montserrat Lombard. 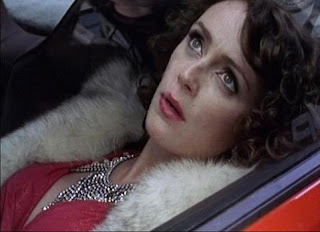 Ashes to Ashes is tentatively scheduled for transmission in February 2008 in the UK.